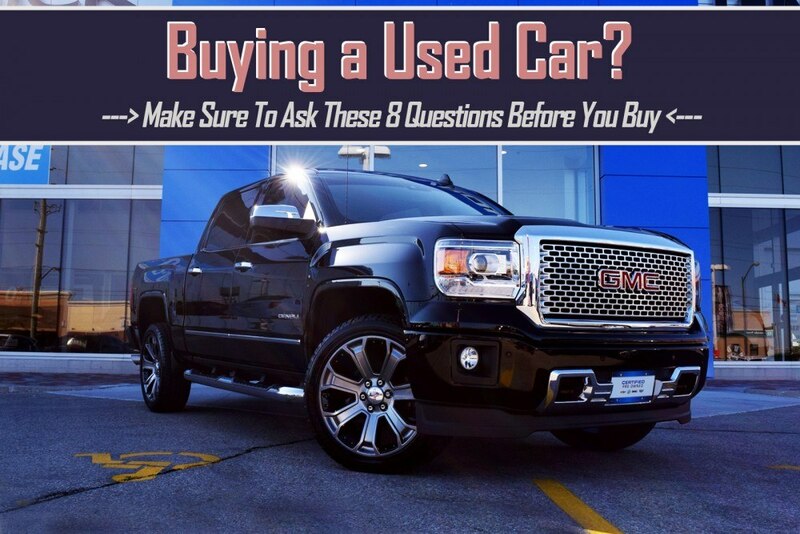 Wallace Chevrolet > Certifed Pre-Owned > Best Used Cars Toronto Ontario – 8 Questions You NEED To Know Before You Buy! Best Used Cars Toronto Ontario – 8 Questions You NEED To Know Before You Buy! Buying a used car can be daunting…but it doesn’t have to be! 1) Can I take it for a test drive? Found the vehicle of your dreams at an incredible price? It’s still best to see how it drives! There could be an issue with the drivetrain or engine…major problems that you can avoid by taking it for a spin BEFORE you sign on the dotted line! TIP: Drive in the city and on the highway if possible. Also, try all the gears…even reverse! 2) Has the vehicle been involved in any accidents? It’s always good to know where and how extensively your new pre-owned vehicle was damaged. WallaceChev and many other reputable dealerships offer a CarFax vehicle history report FREE of charge! This report details exactly what’s happened to the vehicle in the past! TIP: If the vehicle history is unknown, have a mechanic look it over for signs of obvious repair or previous damage. 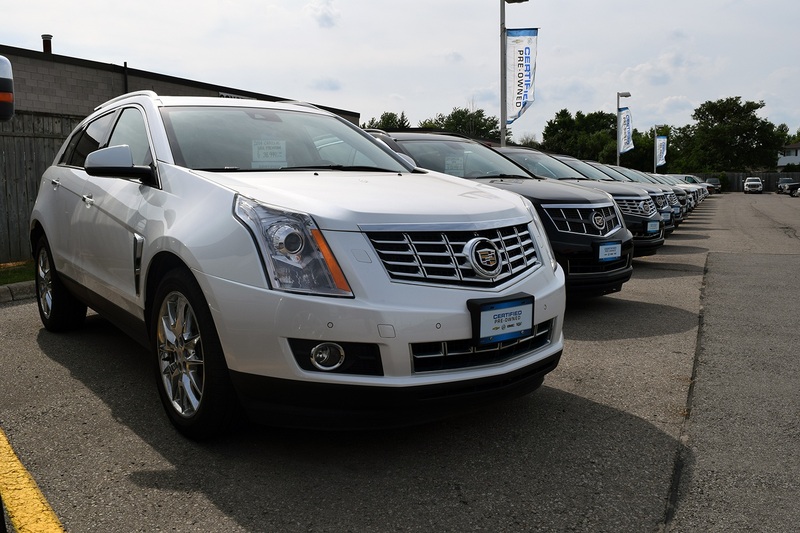 4) What does it mean to be a Certified Pre-Owned (CPO) Vehicle? Does it make a difference? 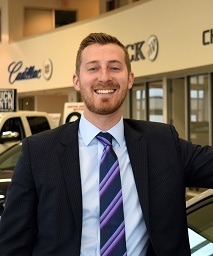 Some dealerships like WallaceChev offer a CPO vehicle program. Our CPO program consists of a four-pronged approach: All CPOs are treated to a 150+ point inspection, a manufacturer warranty, 24-hour roadside assistance and even exchange privileges! Want to learn more? Read all about it here. TIP: Find out what benefits you’ll receive if you purchase a Certified Pre-Owned vehicle! Does this peace of mind matter to you? 5) Has the dealer/seller performed any work on the vehicle? If so, what did it involve? Many certified used car dealers like WallaceChev include a detailed service history when buying a used car. This report details exactly what work was performed on the vehicle and when. It will also indicate how much the shop spent to ensure the vehicle met or exceeded their pre-owned standards. TIP: If the dealership or seller is hesitant about this basic information it may be time to rethink your purchase! Peace of mind shouldn’t be a hassle! 6) Will the seller/dealer accept your existing vehicle (or another vehicle) as a trade-in? The ability to trade-in is a win-win for you! You can quickly and easily get rid of your old vehicle and use the equity value towards payment of your new, pre-owned vehicle! Plus, dealers are always eager to obtain new inventory for their lots, which should make it easy to get rid of your vehicle without much hassle. TIP: Check places like Autotrader.ca to find the value of your vehicle BEFORE you arrive on the lot! Have a best case price and a lowest price in mind and shop around! 7) Does the dealership offer in-house financing or any other financial services for you? 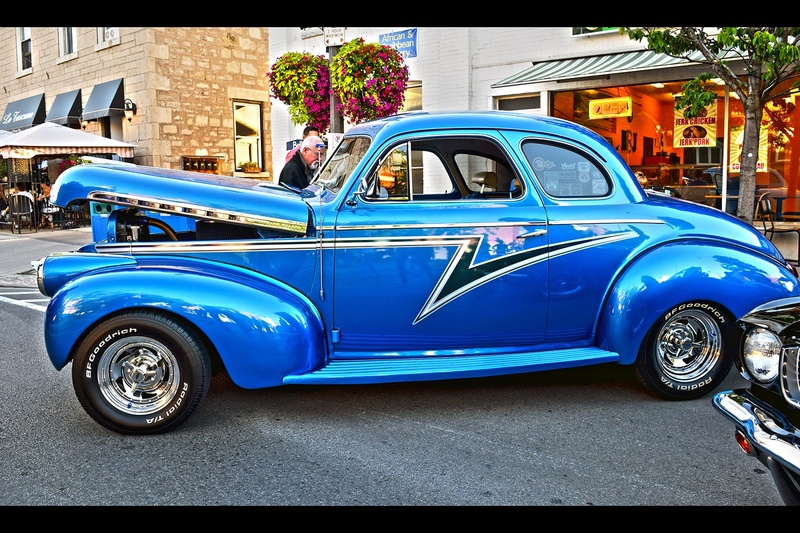 Not all used car dealers offer in-house financing! Find out if the dealer/seller offers services and get as much detail as you can! Often times you can save your line of credit by using a third-party institution! TIP: Make sure you go back and compare the numbers to those you could receive from your bank for a traditional auto loan! 8) Does the dealer offer any demos for sale? If you’re looking for a used vehicle that’s nearly new, a dealer demonstrator- or demo, which is a new vehicle used for test drives- is the best way to go! Often these vehicles have been very well-cared for, show very low kms, and still offer much of the new vehicle warranty. Want almost new? Go for a demo! TIP: Figure out how many kms were put on the vehicle as a demo and how it was used. And remember- demos are BABIED with constant servicing! Expect few issues! Please contact me personally with any questions you have about this article or our Pre-Owned process! Buying a used car can be daunting, but it doesn’t have to be! I’d love to help you on your journey, even if it isn’t with us…though we hope it is!